My book has been sent to press! While I wait for it to be printed I wanted to give those who were interested some background info on cenotes. Even though my book is based on a fictional culture in a fictional village, I still had to do a lot of research. Even the most fantastic fiction has to have a foundation in truth. 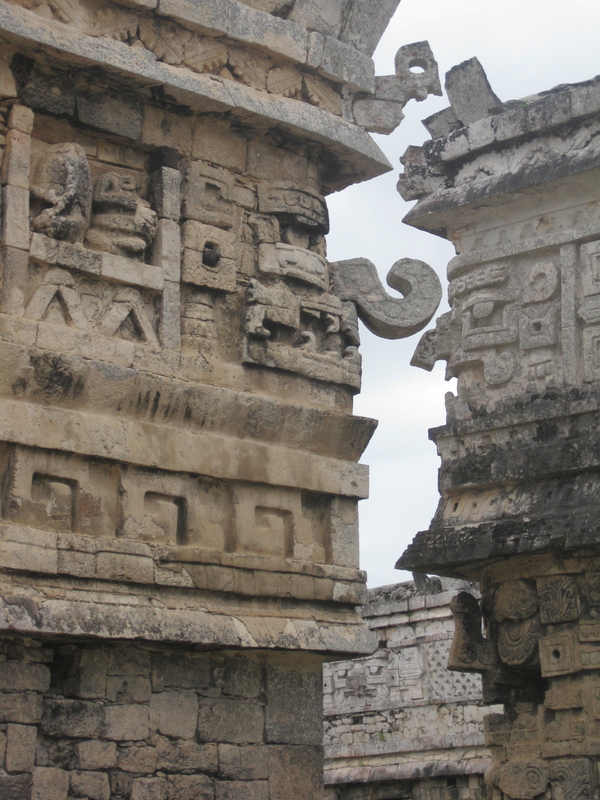 I had already read a lot about the Maya culture and about the Yucatan, but after I had completed several drafts I realized I would not be able improve my novel anymore unless I had a chance to go to Mexico and learn some things for myself. So I packed my bags, left my husband and four small children (this was pre-Levi) and went. We stayed with my aunt who has a winter home in Merida, Mexico. My main objective on this trip was learn more about the Maya culture and and to visit the cenotes. 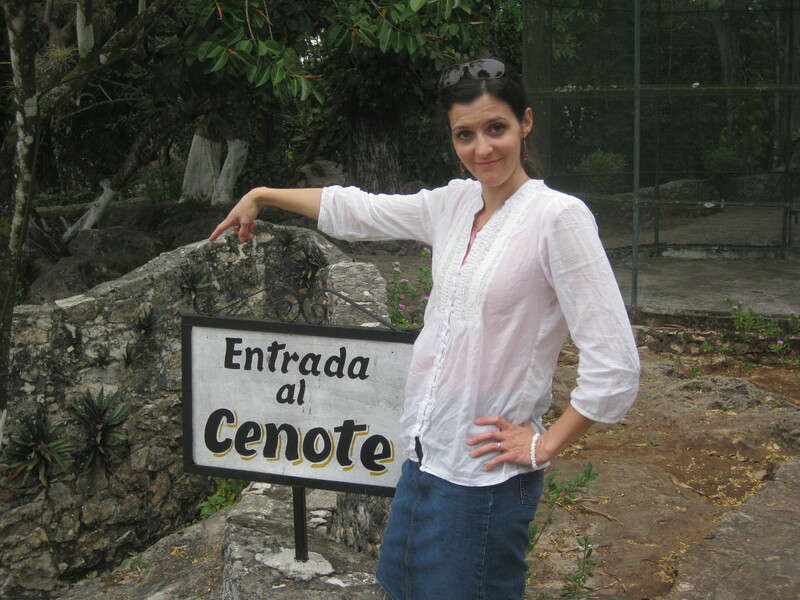 Yes, the word “cenote” is hard to pronounce or describe. Spellcheck doesn’t even recognize it. But when you consider that the original Maya word for cenote is dzonote, I think the word isn’t that hard after all, don’t you? Cenotes were significant to the ancient Maya people because it was the only place to get fresh water during the dry season. You might say cenotes were kinda important. Vital, actually. Because of this, cenotes also played a huge role in rituals and sacrifices, and many ceremonial artifacts–including human bones–have been discovered in cenotes. All of this plays into my book. 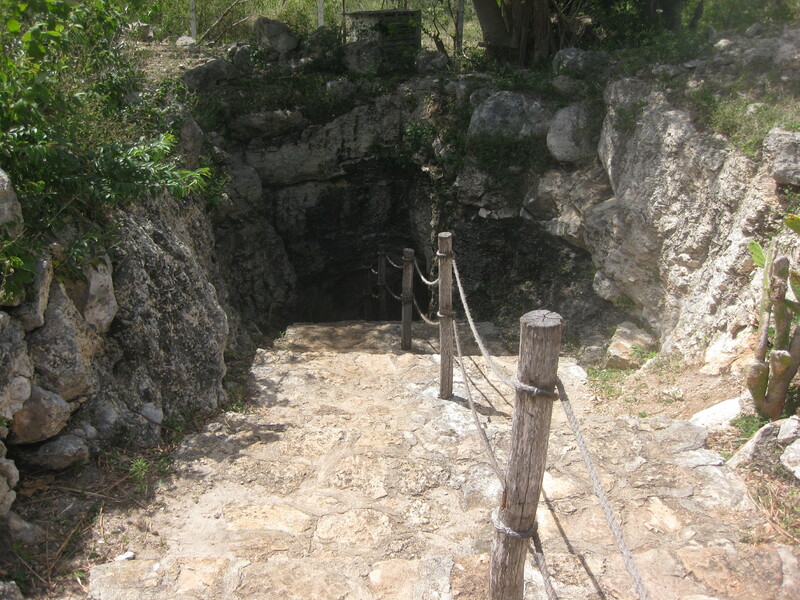 This is the entrance to Zaci cenote. You take these spooky steps into what you think will be cave. Those long rope-looking things are roots of banyan trees. 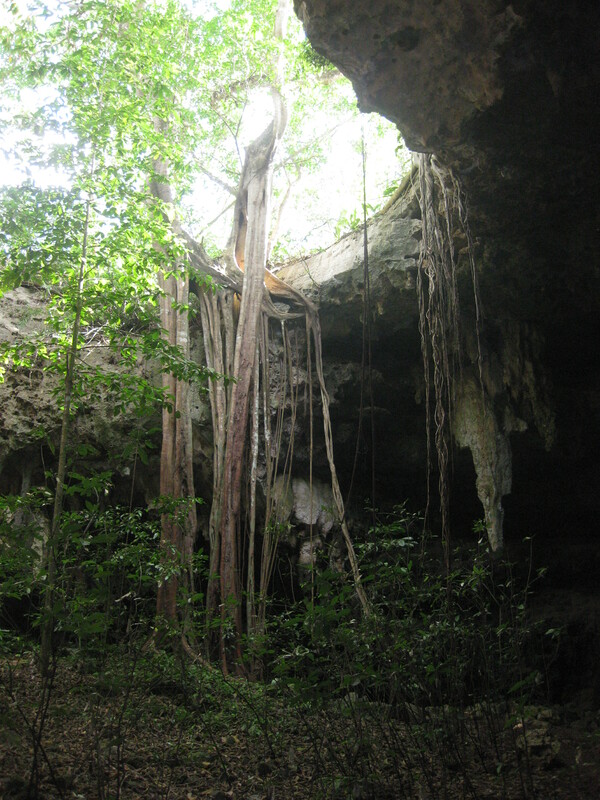 Banyan trees love water and they often grow near cenotes with their roots “dripping” down to the surface of the water. This is one of the most famous cenotes, probably because it is in Chichen Itza, one of the biggest tourist stops in the Yucatan. On the day we were there they had it roped off so I couldn’t get a good angle with my camera. Too many tourists had been falling in, I suppose. Imagine trying to get someone out a cenote. Wow, that would be tricky. Someone should write a book about that. Finally, toward the end of our trip we got to actually swim in a cenote. 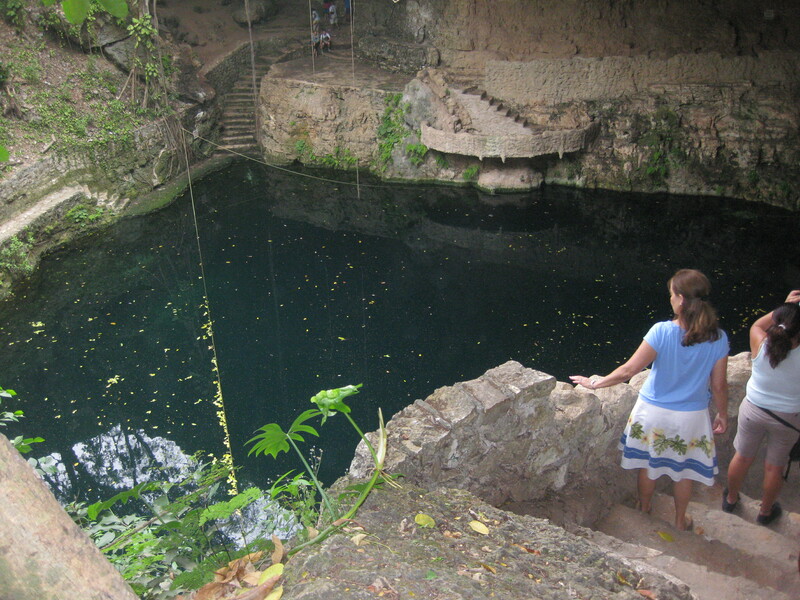 The Dzul-Ha cenote is totally hidden underground. It was part of the Sotuta Hacienda and they had convenient outdoor stalls where you could change into your bathing suit (under the bright blue sky!) 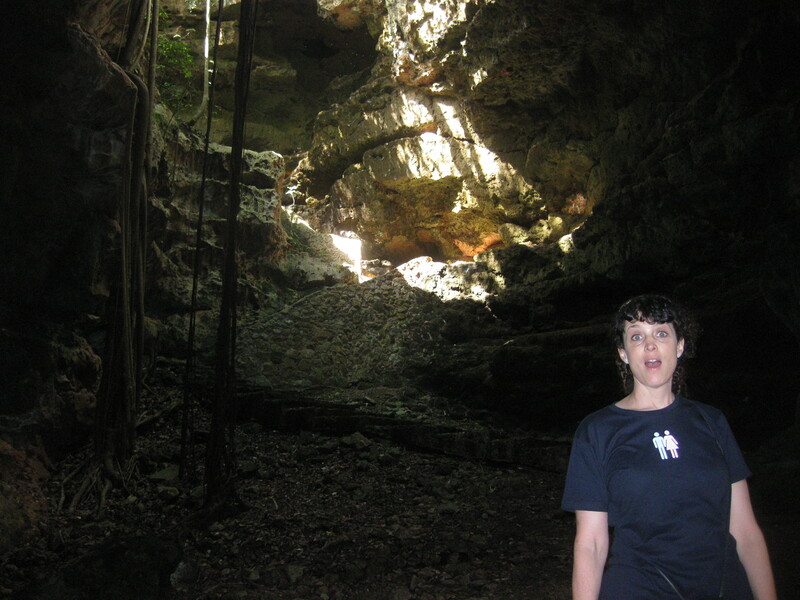 and then you go down the stairs into this cave where the cenote awaits, refreshing and cool. 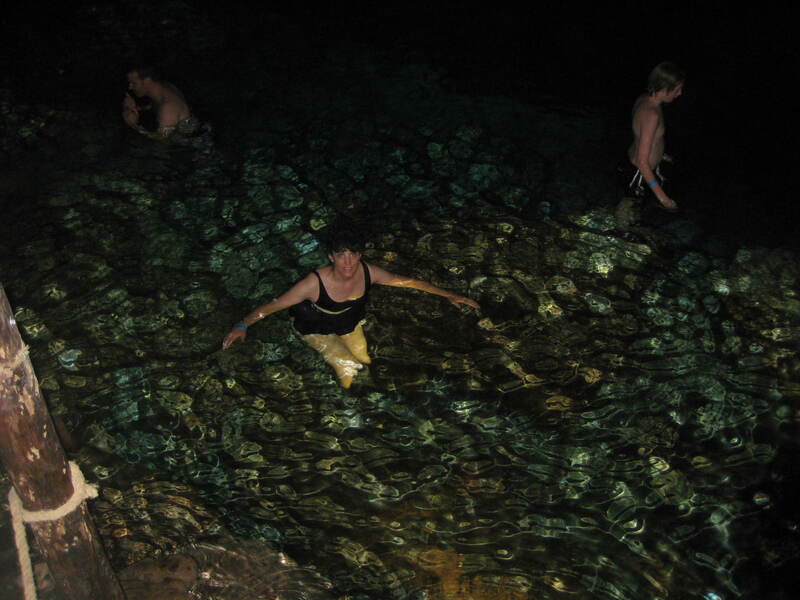 I am sure my sister is thrilled that the only photo I have of this cenote is of her. I was too busy swimming to care about posing in my bathing suit for ya’ll. I hope that gives you a little more insight into what my book is about. Stay tuned! Wow! Looks like a fun as well as educational trip!